Relegation-threatened Aston Villa say they are spending less than £80,000 to "refresh" the club's crest. 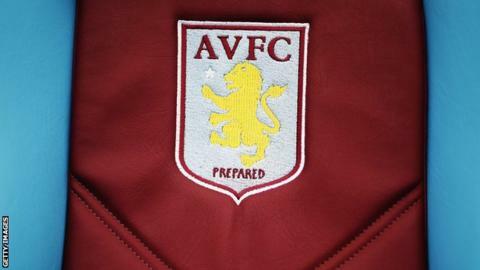 It was reported changes to the badge - intended to make Villa "more effective in the digital age" - could cost £2m. The crest will change on their website, retail products, television station, club publications and at their stadium. Villa are bottom of the Premier League, 15 points from safety with six games left, and without a manager after parting company with Remi Garde. The club say they will not spend "significant sums" on changing the branding at Villa Park this summer. American owner Randy Lerner put the club up for sale in May 2014 but is yet to find a buyer. Listen to Aston Villa Supporters' Trust patron Jonny Gould tell 5 live why he hates the new badge.